I travel quite often for work and i have often been asked what local food do i miss the most when i am away from Singapore. During those days, fried carrot cake is often in my mind. 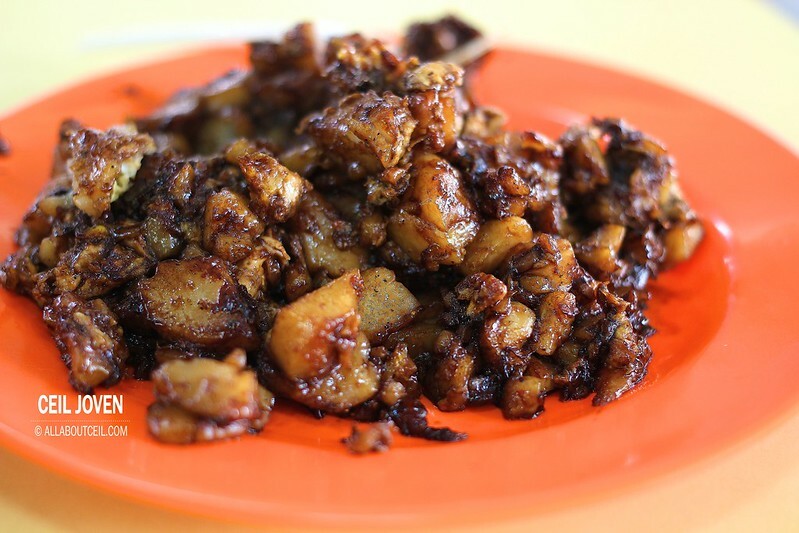 I have always been craving for a simple plate of fried carrot cake using a good amount of sweet dark sauce together with extra preserved radish, extra chilli to give a well-balanced taste of sweetness and saltiness that often left a lingering fragrance on the taste buds. It has always been the perfect choice for breakfast and even lunch. I have recently chanced upon a new fried carrot cake stall a stone's throw away from house. I happened to be there for an early lunch then walked past a table and spotted a plate of beautifully fried black carrot cake there. I looked around and spotted this stall. I was given the selection of $2.50, $3 and $4 for the black and the white version. 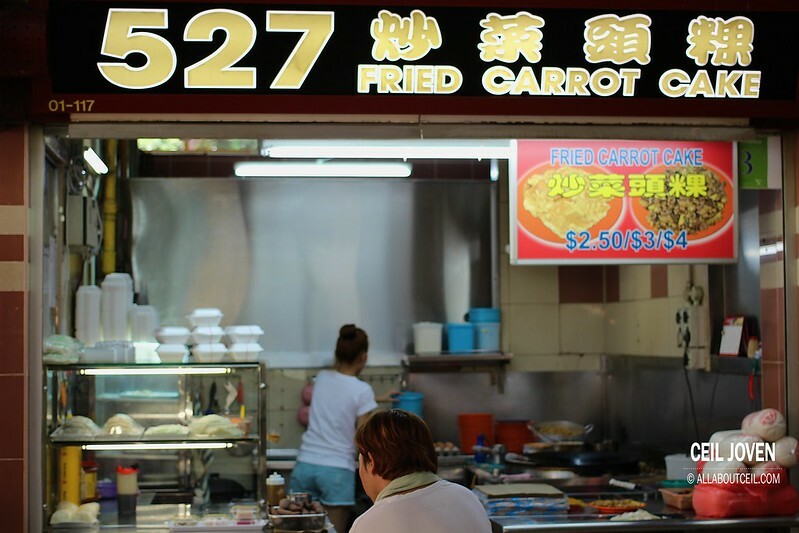 I went for the $2.50 black fried carrot cake. As i was the other customer then so i got my plate of fried carrot cake within minutes. I would think the portion was a bit too little for $2.50 but the generous amount of egg added somewhat made up for it. It was nicely pan-fried to give it a slight crispiness without compromising the texture of those pieces of unevenly cut carrot cake. I could distinctly taste bits of preserved radish added to enhance its overall flavor. The carrot cake used is probably factory made as i saw rolls of them stacking up right at the stall. This might not be the best tasting fried carrot cake that i ever eaten but its standard is good enough to satisfy a crave temporarily. 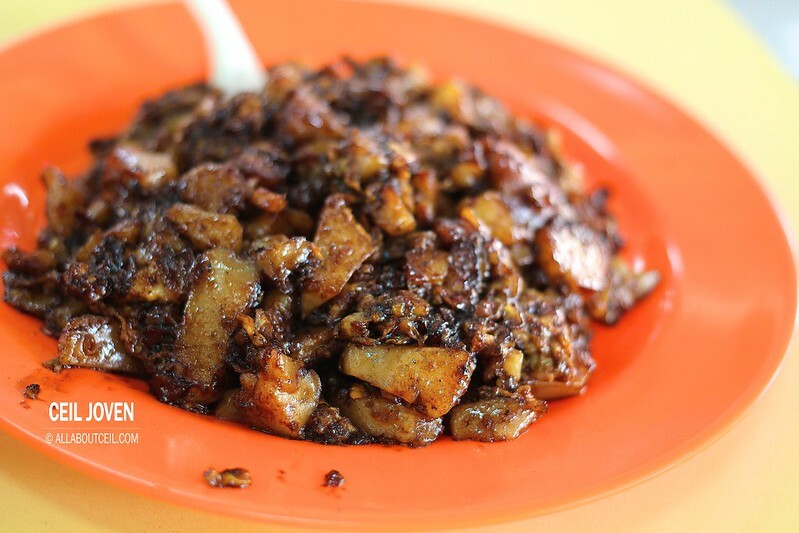 Block 527 Ang Mo Kio Avenue 10 #01-117 Cheng San Food Centre SINGAPORE 560527.